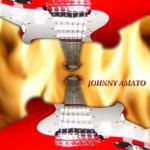 Sign up for Broadjam today to follow Johnny Amato, and be notified when they upload new stuff or update their news! A quick video when I was on JBTV Chicago. Playing with Ted Aliotta and The Groove Machine, a band I sometimes play with.